To replace or repair your transmission. Which is best? Choose a reliable and cost-effective solution by coming to our local, family-owned auto repair shop. Sometimes the most affordable solution is a transmission rebuild. After all, if you are continually spending money on transmission repair, you might as well buy another car. 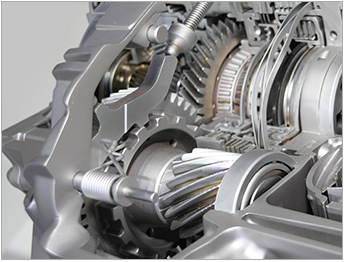 However, replacing your transmission can bring your vehicle back to life. Keep your car or truck while saving money in the process. As a friendly team of auto repair experts, we'll help you make the best choice for your vehicle. We want to ensure your car shifts smoothly and effortlessly for many more miles. In addition, we make our service affordable for you by offering financing as well. There are also no credit checks when you enroll in a payment plan. Do things seem a bit shifty when you change gears? Depend on our mechanics for comprehensive and affordable clutch repair. We know what to do when shifting has become shaky. You'll enjoy prompt, professional-grade services at our transmission repair shop, because we keep your repair costs down and the quality of our services up. Contact our auto shop for expert repair services that help you get in gear again. We serve vehicle owners from Westerville, Columbus, Worthington, Gahanna, and New Albany, Ohio, as well as the surrounding areas.